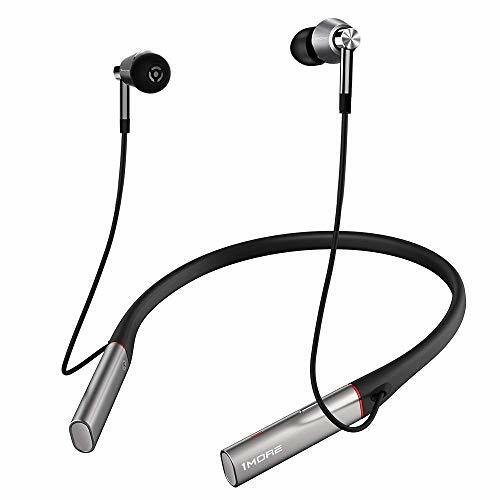 1More Triple Driver BT wireless noise-cancelling in-ear headphone. Read our 1More Triple Driver BT Review. 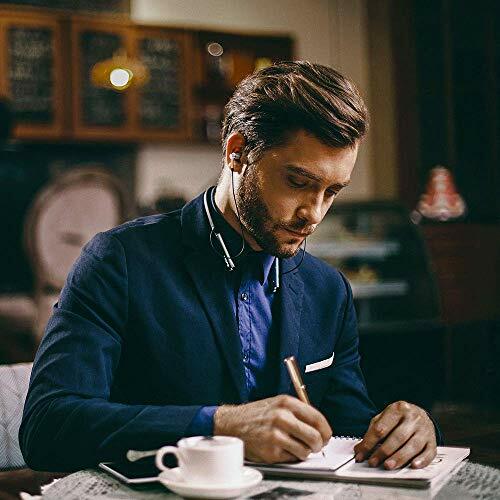 FOLLOWING APPLE’S MOVE to drop the headphone jack from the iPhone and the news that Samsung will follow suit with its flagship Galaxy models in 2019, the portable headphone market has gone wireless crazy. 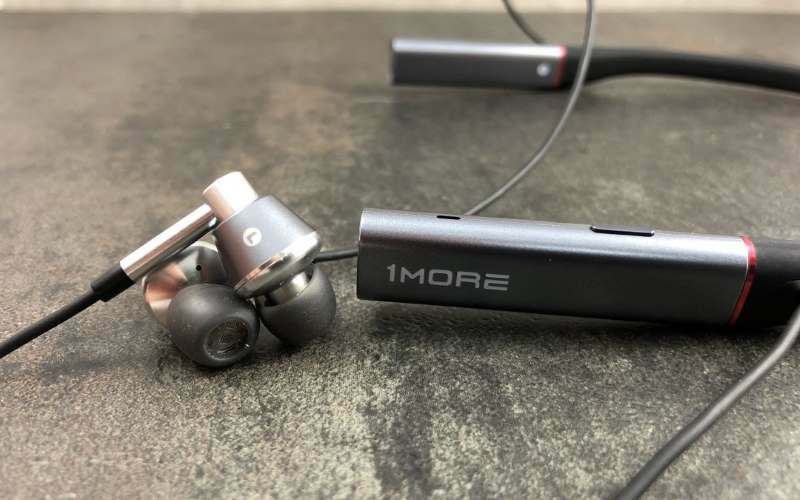 Like many brands, 1More has been quick to respond and takes its wired Triple Driver in-ear headphone design – reviewed in HFC 425 – and adds wire-free connectivity and noise-cancelling for just £ more than its wired counterpart. While Bluetooth may be a red flag for audiophiles, 1More has included the ability to receive hi-res audio in the form of Sony’s LDAC codec (up to 990kbps) to deliver the best possible quality the short-range wireless connectivity standard can currently offer. 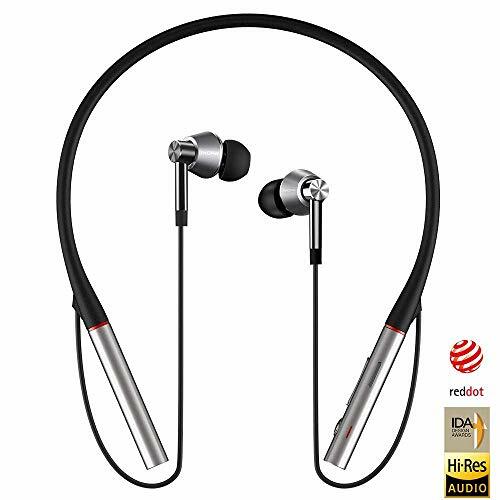 It also supports Apple’s AAC codec (up to 250kbps), which – while having a more limited transfer rate than LDAC – is still noticeably better in terms of sound quality than many other Bluetooth headphones I’ve heard. In the box you get the headphone, a USB Type-A-to-USB Type-C cable for charging, nine sets of ear tips in foam and silicone, plus a handy bag for storage. The wide choice of ear tips is appreciated, as the fit into the ear canal is crucial for getting the best listening experience possible. It takes a little time to familiarise myself with the controls but the design is nice and light at 42.5g without feeling cheap. The neck band is made from soft, flexible silicone and is comfortable resting on the back of my neck – most of the time I forget it’s even in place. The control unit on the left end of the neck band has volume, play/ pause and the power button, as well as the microphone. Like the wired Triple Driver version we saw previously, the tapered cylinder earpiece enclosures are made entirely from metal and fitted with one dynamic driver and two balanced armatures in each. My favourite feature is the fast charging mode and 1More’s battery life and charge times live up to the claims in my experience. 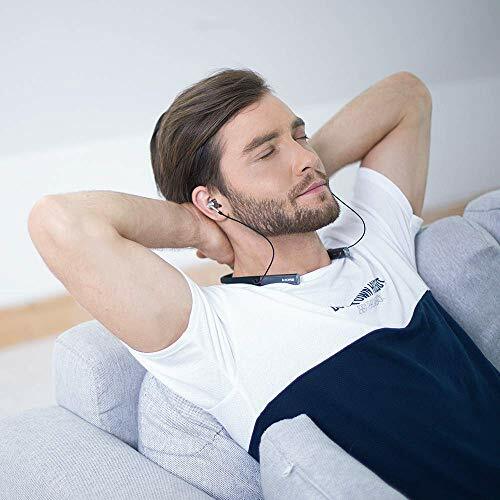 Just 10 minutes boost gives three hours of listening and it takes just an hour to power up the headphone fully for about seven hours of listening time. In terms of sound quality, it delivers a great performance with near-perfect bass levels, plenty of midrange detail and almost equally impressive highs. My listening test tracks have a slight warmer tone that’s enjoyable. The ‘warmth’ is most prevalent in acoustic tracks including John Legend’s All Of Me, where the piano has a rich but authentic sound. Tracks with a lot of bass really shine and Disclosure’s Where You Come From showcases the frequency bands from the background beat to the vocals in a powerful yet distinct from one another, clean overall mix. More demanding material, like AC/DC’s Thunderstruck, is handled well with the sound signature complementing the electric guitar perfectly. Vocals are crisp too, with minimal distortion and while the high frequencies are very good, I’d say the sound balance is more refined at lower frequencies. For those interested, 1More offers a free iOS and assistant app with a Smart Bum In feature that claims to improve driver performance to help the headphones settle in and reach optimum performance more quickly. Another potentially useful feature is the noise-cancelling mode that uses the microphone array built into the headband to filter out background interference. 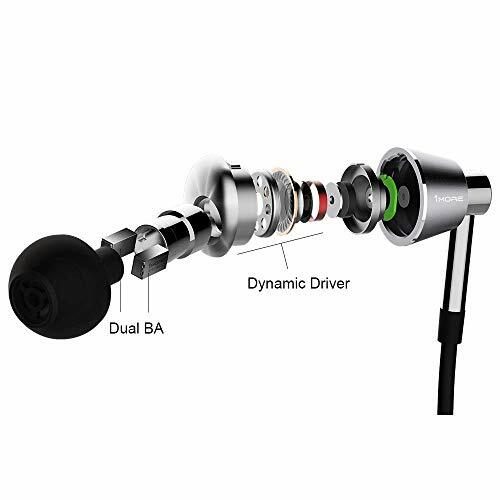 It proves very effective in my tests and does little to alter the overall sound signature. Fast charging is an added bonus, but I would like to see improved battery life – at around seven hours it’s rather average for the class, but improvements should be possible in the future given the neck band design. 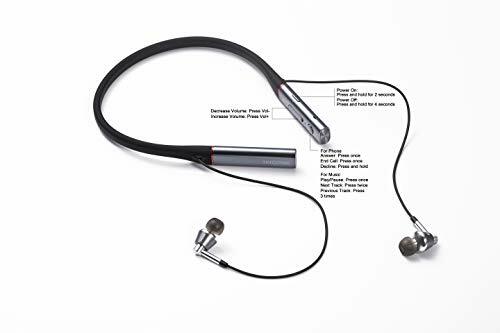 For now though, this is a high quality in-ear headphone that leads the way with a super set of features at a very attractive price. OPTIMIZED FOR iOS - A high resolution Bluetooth chip with AAC transmission is optimized for your iOS device by providing better sounding wireless audio at similar bit rates. Enjoy higher resolution and a higher decoding rate with less storage. THREE DRIVERS - Two balanced armatures and a separate dynamic driver deliver an extremely accurate listening experience with unsurpassed dynamic power. 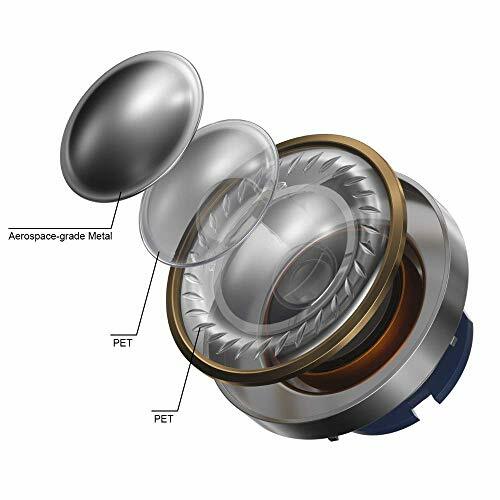 An aerospace-grade metal composite diaphragm provides sizzling highs, clear midrange, and deep bass. HI-RES LDAC BLUETOOTH CODEC - Bluetooth v4.2 and LDAC transmission technology provides a meticulous sounding wireless listening experience that does not affect sound quality. LDAC enables 990 kbps of transmission speed which is 3 times higher than ordinary Bluetooth. 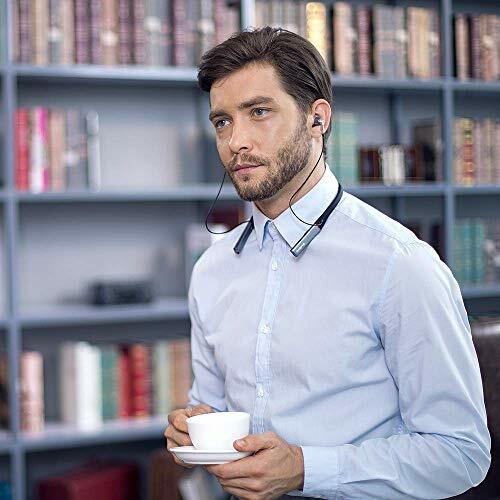 ENVIRONMENTAL NOISE CANCELLATION (ENC) - An integrated microphone coupled with ENC technology filters out background noises up to 15 dB allowing you to talk even in loud environments. FAST CHARGE - Experience long battery life with 7 hours of talk or music play, with just 1 hour of full charging. Fast Charge enables 3 hours of use with only 10 minutes of charge time. Never skip a beat.